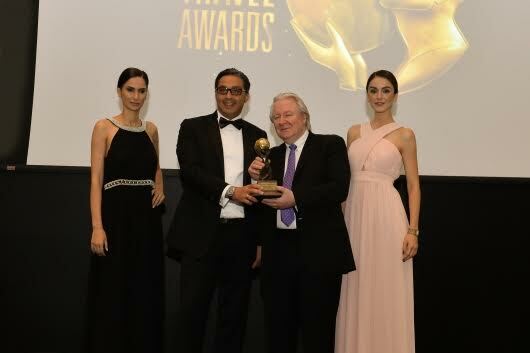 Ras Al Khaimah, United Arab Emirates: Rixos Bab Al Bahr wins Middle East’s “Leading All-Inclusive Resort” in this year’s World Travel Awards. This is the resort’s 3rd win for the title. Rixos Bab Al Bahr serves as the only resort to offer ultra all inclusive packages. Guests under this package will not have to use their wallets during their stay as all of their needs will be provided and will be free of charge. Guests can also dine in the 16 restaurats and cafes for free, with several restaurants open for 24 hours. A wide assortment of leisure activities are also available such as water sports, Cabana Oasis, and entertainment shows. The five star beach resort has 650 rooms and suites, all with azure and bronze décor, overlooking the Arabian Gulf. Its rooms ranges from 32-70 square meters, while its suites are from 78-130 square meters. Rixos Bab Al Bahr hosts around 2,000 visitors a day, providing the guests 6,000 meals a day. Rixos Bab Al Bahr is also the home of Rixy Kids Club, with more than 700 members visiting each season. Rixos Bab Al Bahr has greatly contributed to Ras Al Khaimah’s tourism, bringing more than 50,000 tourists per month. Next articleExperience a new Arabian Courtyard Hotel & Spa!